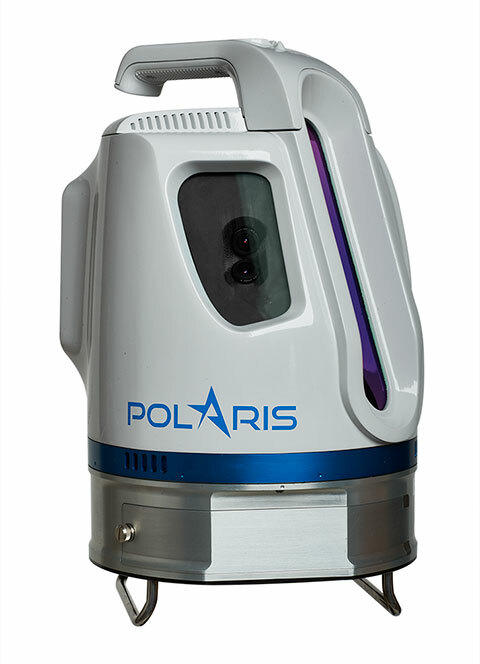 Teledyne Optech has released its Polaris terrestrial laser scanner, which automatically detects its location with a built-in GNSS receiver and selects the planned survey parameters for the site. Alternatively, operators can set up surveys in the field and resection/backsight the system using the menu-driven graphical user interface (GUI) on its touchscreen. The announcement was made at the SPAR 3D Conference and Expo, being held April 3-5, in Houston, Texas. Visitors to SPAR 3D will be able to see the Polaris’ streamlined user interface in action at booth #400 along with the Optech Maverick, Eclipse and award-winning Galaxy. Bridging the gap between indoor and outdoor scanners, the Polaris can survey targets up to 1600 meters away in long-range mode or collect up to 500,000 measurements per second in short-range mode. Its 360 × 120-degree field of view captures indoor panoramas from a single site, while its rugged design, light weight and swappable batteries let it travel deep into the field, the company said. Also on display at SPAR is the Galaxy airborne lidar, which was awarded the MAPPS Grand Award for Innovation, and Teledyne Optech staff will be on hand to explain the SwathTRAK technology that earned it the prize. By dynamically adjusting the Galaxy’s scanner field of view in response to changes in the ground’s elevation, SwathTRAK keeps the swath width and point density on the ground consistent, even in hilly terrain. This technology saves clients time and money by reducing the number of flightlines required and ensuring homogeneous point density. Finally, visitors to the Teledyne Optech booth can also get hands-on time with the Maverick, Teledyne Optech’s first backpack-mountable mobile mapping system, and see the autonomous Eclipse airborne data-collection system and learn how a pilot can operate it alone, saving the cost of a dedicated operator.